Last month, I wrote a post about the adoption of Gmail Sponsored Promotions (GSPs) as I have been surprised each time I look at a campaign with how cheap the CPCs are still. 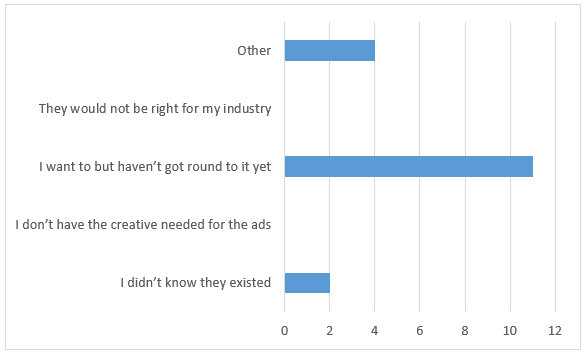 This got me thinking about whether the adoption of this type of campaign is still relatively low so I put together a little survey to find out what advertisers think. This post contains all the results. Before I start, I will give you a very quick rundown of what Gmail Sponsored Promotions are in case you are one of those reading this who may not know. When you navigate to the Promotions Tab in Gmail, you will see two ads pinned to the top of the emails. An example of how this might look is shown in the screenshot below. These ads are Collapsed Gmail Ads. When a reader clicks on one of the ads, they expand and look like a normal email. There are many different ad formats for Gmail ads so the example that I have given below may not be what you see. Gmail Ads are disruptive by nature and some of the more tech savvy individuals I know hate that ads are now appearing in their inbox. However, general email users are really none the wiser and they definitely engage with the ads if they are relevant to something they are interested in at that moment in time. We have seen better results for clients that are B2C which I would assume is down to the type of person who uses Gmail as their email provider. A lot of businesses are more engrained within the Microsoft ecosystem so would typically use Outlook. Anyway, enough about what Gmail Ads actually are. If you want to know more then check out this amazing post from Tara West which will tell you everything you could need to know. Following some promotion on various social channels, I managed to get 42 responses to the survey so this gives us a small but useful dataset to uncover any trends. The first question asked was related to the industry that the person answering the questions worked in. 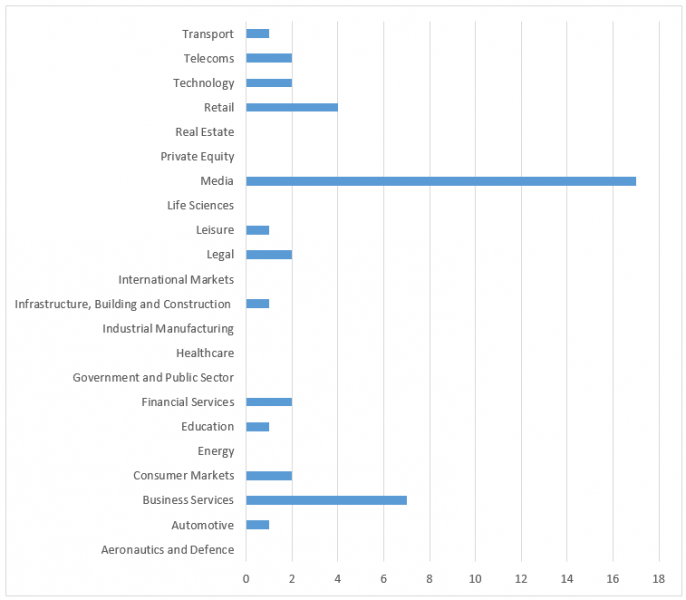 As you can see, the majority of the people answering worked in Media/Marketing and the second most popular was Business Services. Are you using Gmail Ads? 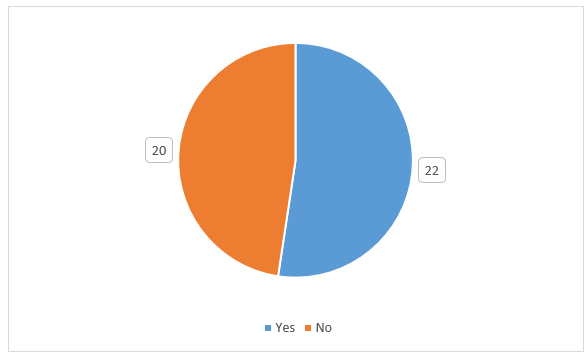 Of the 42 people that answered the survey we can see that there was almost a 50/50 split of Gmail Ads adoption but slightly more companies said yes. How have you found the performance? 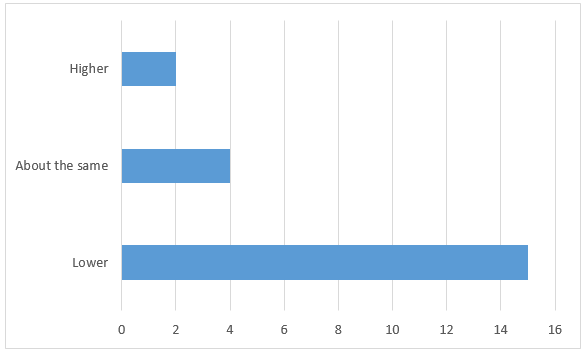 Of the 22 respondents who said they are currently using Gmail ads, it is great to see that 18 of them are seeing the performance of the campaigns turn a positive ROI. The results were what I was hoping/expecting to see. As you can see from the graph below, the majority of people have seen CPCs lower than those of a standard search campaign. This is exactly what I have seen across the campaigns that we have been working on so it is good to see that this is a common trend across others. I was also interested to find out just how much lower the CPCs were on average. 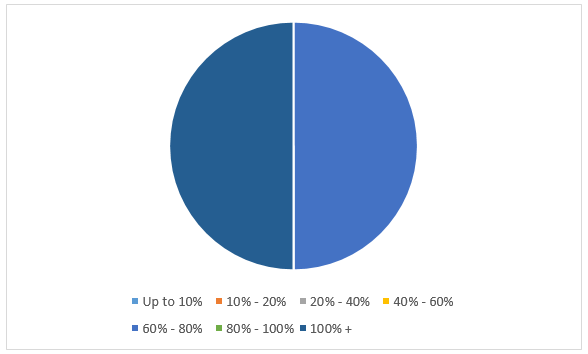 Interestingly, we can see from the answers that most of the advertisers are seeing CPCs between 20% and 60% lower than standard search campaigns. 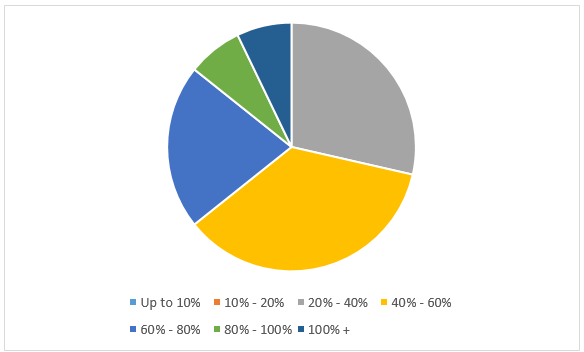 For the advertisers who said they were seeing higher CPCs for Gmail Ads compared with standard search ads (only two people), it was a 50/50 split of one person saying costs were between 60% and 80% higher and the other saying more than 100%. Why are you not using Gmail Ads? All in all the results were conclusive with my thoughts on this advertising feature. It is still widely under-utilised and this gives a real opportunity for advertisers who are wanting to test the waters. With the level of competition being relatively low it has meant that overall the costs are still low. Advertisers (especially those in B2C industries) should really consider this platform as we move further into 2016. The results can be brilliant if the right strategy is employed. Great post Samantha – really insightful survey. You mentioned that “The results can be brilliant if the right strategy is employed” – do you have any pointers, or other posts that can offer some help with strategy? Thanks.